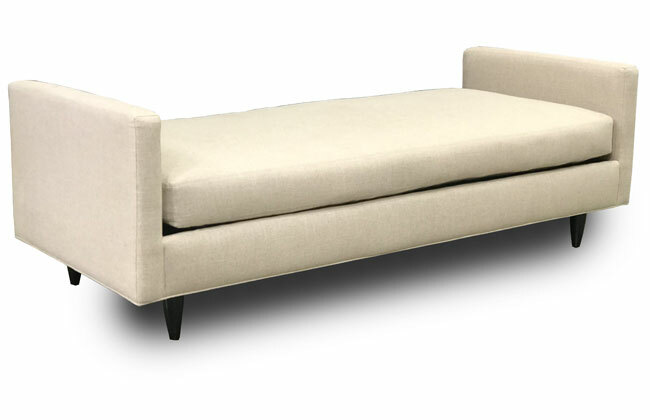 This bench features top stitching, a hardwood frame, and java colored cigar legs. Available in two sizes: small bench or large bench. Products meet the requirements of the California Bureau of Home Furnishings Technical Bulletin No. 117-2013.